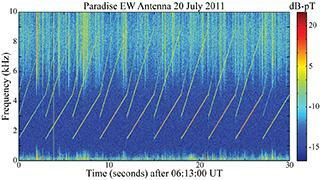 The Ionospheric Radio Lab is part of the Department of Electrical and Computer Engineering at the University of Florida. 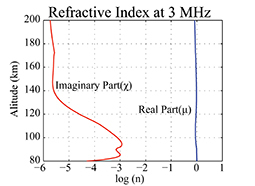 Our research efforts focus on quantifying the highly nonlinear electrodynamic interactions that occur between high power radio waves and the lower ionosphere (~60-120 km altitude). 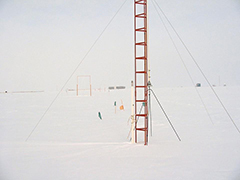 We perform experimental observations of the radio waves emitted by lightning and analyze the effects of lightning on the overlying ionosphere. 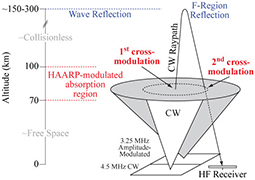 We also perform controlled experiments at high power ionospheric heating facilities, such as HAARP, in order to guide our understanding of naturally occurring upper atmospheric phenomena.